Super Strains cannabis seedbank was born form the division of Hy-Pro in two different companies: One producing marijuana seeds (Super Strains), and the other one producing cannabis fertilizers called Hy-Pro. From this seedbank Original Amnesia Hy-Pro was born, a strain that has reached one of the greatest fame in Europe, due to its high quality, sativa effect, heavy yields, and quick flowering time. 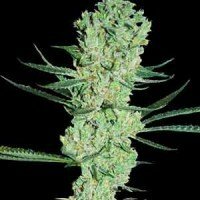 Nowadays, Super Strains sells marijuana seeds in feminized form, and also some strains in regular form (for those looking for high quality males or females). 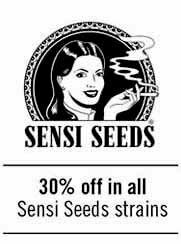 Super Strains seeds are available in packs of 1, 3 or 5 feminized seeds, or in packs of 3 regular seeds. 7th Wave seeds from Super Strains seedbank are a feminized marijuana strain, type indica, with an euphoric effect more common in a sativa plant. 7th Wave marijuana plants have a slow growing, but resistant, with a heavy yield, and a flowering time of 60 days, what makes her a great choice for outdoor growing, and also for indoor growing. Super Strains' Amajikoym seeds are one of the most sativa strains from this seedbank. Amajikoym marijuana has a flowering time of 80 days, producing huge yields of incensed flavour, and energyzing effect. Those cannabis sativa lovers will fell in love with these genetics, being able to grow her indoors and outdoors, and expecting XL sized plants, with a powerful and graduate high. 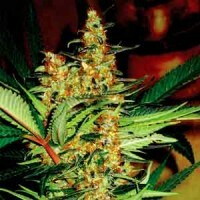 Super Strains seedbank's Amnesia seeds are the original version what's known as Amnesia Hy-Pro. 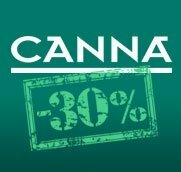 This strain is wellknown by any cannabis enthusiast in Europe. 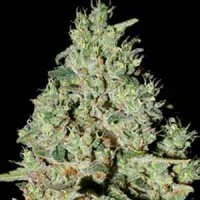 Amnesia HyPro marijuana is known by its heavy yields, citrus and hazy taste, and also by its quick flowering time, because it is ready to harvest in few more than 9 weeks to 12/12. Amnesia cannabis plants are very resistant against pests, and precise low feeding to get great results. Automatic Fini seeds by Super Strains seedbank are a feminized, and autoflowering, strain, born from a cross between an Ak47 and a selected autoflowering strain. The effect of Automatic Fini marijuana is happy and active, with a musky taste, incensed and sweet. Automatic Fini cannabis plants will be ready in 9-10 weeks after germination, with a heavy flower production. 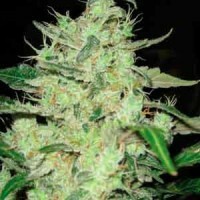 DFA Autoflowering seeds by Super Strains are an autoflowering strain, heavy yielder, low height, that is ready to harvest 8 weeks from germination. DFA Autoflowering marijuana is a cross between Enemy of the State and a selected Cannabis Rudelaris, that brings the autoflowering gene. DFA Auto cannabis plants reach medium height, with many side-branching and an open structure that allos the light to arrive to the whole plant. El Cucaracha from Super Strains is a resistant cannabis strain, strong, able to resist almost everything. El Cucaracha marijuana plants have a quick flowering time (55 days), being a heavy yielder, of sweet and musky taste fruits. El Cucaracha seeds are a great choice for less experienced growers, looking for a strain to grow for the first time indoors or outdoors. Super Strains seedbank's Enemy of the State cannabis seeds genetics have its origin in Afghanistan, being a quick flowerer strain, with heavy yields, and a sweet taste. Enemy of the State marijuana is a cross between Top 44 and Victory, two famous strains from late 80s and early 90s decade, due to its quick flowering time and good crops. Next of Kin seeds by Super Strains have a little longer flowering time than an indica (almost 11 weeks), what, from a haze point of view isn't that long. Next of Kin marijuana plants are heavy yielder females, being able to bring up to 650 grams per squared meter indoors. Next of Kin cannabis taste is fresh, old school type, with hazy effect. Super Strains cannabis seedbank presents another of their autoflowering marijuana strains, the Turing Autoflowering. Turing Auto seeds are automatic genetics that flowers quickly, bringing everything an indoor growers could need, in addition to be a great choice for outdoor growing. The taste of Turing Autoflowering cannabis plants is musky, with a powerful effect.